Welcome back to our weekly look at The Grace of Yes, Lisa Hendey’s terrific book that guides us to a greater love for God and a deeper “yes!” to His plans for our lives. 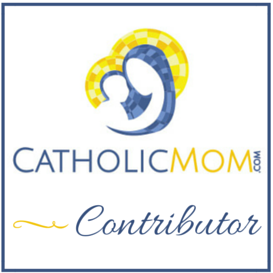 You can see past discussions from this blog by clicking this link, and I highly recommend all the posts at CatholicMom.com, as well. When did my two babies turn into young women? It’s like I blinked and they went from baby dolls and stuffed toys to iPods and studying for driver’s tests! And I try to act differently, too. I realize now that I’m a (eek!) role model for my daughters’ peers. And I’ve realized something new in the last few months: I’m even a bit of a role model for other mothers with younger children. I went to our homeschool co-op and was looking around at the other moms there. There are several new mothers to the group, and many of them have elementary- and preschool-aged children. I realized that I was the mother of an 8th grader and an 11th grader, and these mothers were on the beginning of a journey that I’ve been on for 12 years now! I’m not just the mom who’s still learning from my friends who have graduated their older kids from their home schools, but I’m also the mom who has sound advice about what worked for me when my kids were little girls. I’m one of the experienced mothers! It was a bit of a shock for me to think of it that way, but I’m doing my best to live up to the role I’m in now. ° How do you feel about the prospect of aging? 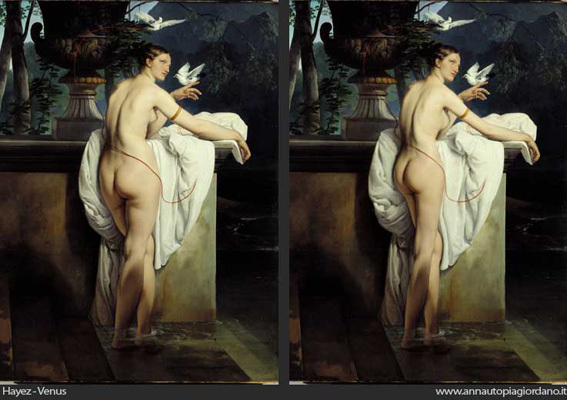 What really makes the impact is that the art and the Photoshop are shown side-by-side. You see that? 5’9″, wears a size 4. My 15 year-old daughter, who is 5’2″, wears a size 4. And yet this has been the standard of beauty my entire life! It’s the kind of thing you don’t even realize that you’ve absorbed at all. …and think she was fat. I just wouldn’t. But you know what? The women on the left – the original women in all of those beautiful Venus paintings – look like me. That was a revelation to me. Something inside me shifted when I realized that. When I looked at these women who were held up as the pinnacle of loveliness, and then I look at myself, I suddenly understand that I am not fat. My husband is not saying I’m beautiful because he’s contractually obliged or because he has no choice. Now, when I see my body and how it’s changed over the last 21 years, I don’t hate it. I see that I’m different, but not worse. I’m heavier, but since I’ve been running, I’m healthier at the same time. I don’t look like I did when I got married at 23, but I shouldn’t! I’m nearly 45 now, and I look like a healthy 45 year-old woman. I’m starting to see me for who I really am, and that’s a real gift and a blessing. The Grace of Yes Day!